Have you gotten your copy of Simply Fat Quarters yet? Or are you still waiting to see a little more? If you missed the buzz from the past few weeks, our first book is finally available, and next week, we begin our Simply Fat Quarters Showcase blog tour for our new It's Sew Emma book, Simply Fat Quarters, starting next Monday, 10/3! We have a stellar line up of bloggers, and on top of talking about our book, they are showcasing projects they made from the book in the fabric of their choice. You will love their fabric picks! 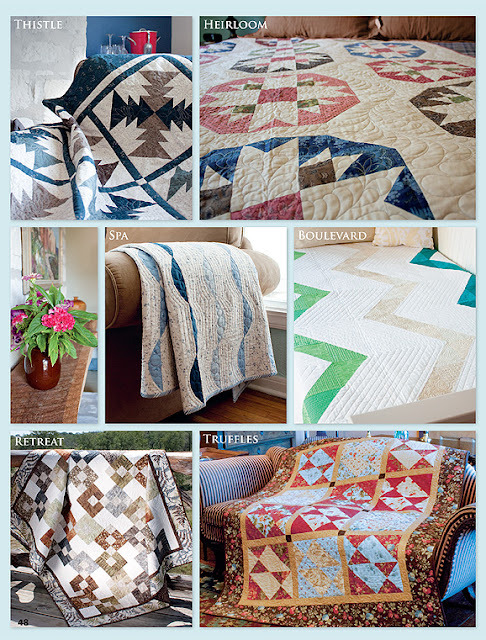 Each stop on the blog tour will give you a fresh perspective and new ideas for Simply Fat Quarter quilts. There will also be tons of prizes, so you won't want to miss a beat! Check out the schedule and follow along every Monday to see each blogger's creations. We hope you'll pick up a copy of Simply Fat Quarters and join in on the fun! And don't forget to add your own projects to our Flickr group! 10/29 Simply Fat Quarters at Quilt Market Special Feature!